Microsoft appears to be building some goodwill before Windows 7 ends support in January 2020. Just in time for Windows 7 to die, Microsoft is porting DirectX 12 to it -- on a game-by-game basis. The first game to deliver will be World of Warcraft, with others to follow. Microsoft's latest graphics API has actually been around since 2015. But Microsoft typically reserved its latest features for Windows 10, the latest OS that already demands the latest hardware. DirectX 12's support for multithreading, for example, already generates "substantial framerate impriovement," Microsoft says. 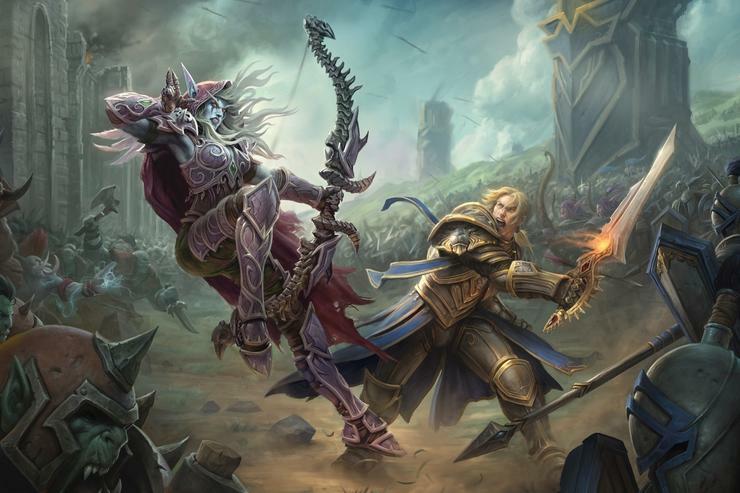 Enter Activision Blizzard, which added DirectX12 support for its venerable World of Warcraft MMORPG in 2018. With an estimated 5 million gamers still playing it this year, Blizzard asked DirectX 12 to be ported to Windows 7, which presumably many of its players were still running. Microsoft agreed, and ported the D3D12 runtime to Windows 7. It's now available as a patch to the game. That doesn't mean DX12 will be released for Windows 7 on a wholesale basis, though. Microsoft said it will patch existing games with Windows 7 support, and that it's working with a few other game developers to port their DirectX 12 games to Windows 7. Microsoft is still encouraging you to buy Windows 10 if you haven't already, though. "The best DirectX 12 performance will always be on Windows 10, since Windows 10 contains a number of OS optimizations designed to make DirectX 12 run even faster," the company says. What this means to you: The timing of this is a little peculiar, since one part of Microsoft is desperate to migrate the Windows 7 user base to Windows 10. But there's still nine months or so before the final deadline crashes down this coming January, and Microsoft can build some goodwill until then.